In mid-November, Jubilee® Clips exhibited at the Marine Equipment Trade Show (METS) in Amsterdam for the second year in a row, with resounding success. METS is the world’s largest international trade exhibition of equipment for the marine leisure industry. The show registered an increase in visitor numbers over 2014 with just under 22,000 attending the event. “After METS 2014, which was Jubilee®’s inaugural event, we were not sure what level of interest to expect from our second participation in 2015. It is fair to say that the quality of enquiries and the amount orders we have already received on the back of these in the wake of the show have exceeded those of 2014” explains Ian Jennings, Managing Director of Jubilee® Clips. David Pennell, Product Coordinator at Jubilee® Clips explains: “Due to the vast experience of our team on the stand at METS, we sensed the appreciation of trade visitors regarding the level of expertise we are able to offer them when talking to us during the event”. 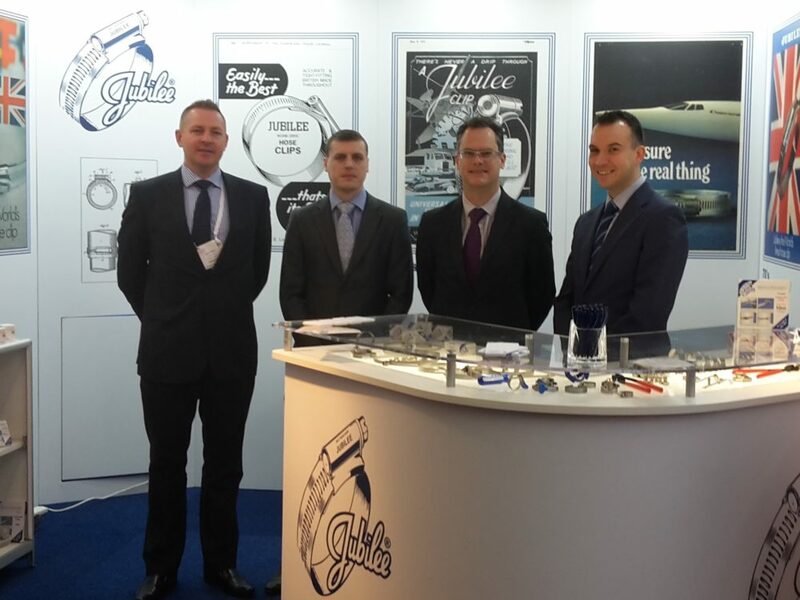 The quality of Jubilee Jubilee® Clips’ range of hose clips was highly appreciated by those who stopped by Jubilee®’s booth with the Lloyds Register Type approval of the Original Range in 316 and 304 stainless steel being the stand-out topic of conversation. “With orders received following enquiries from trade visitors from as far afield as Thailand and the Seychelles and leads forwarded to our distributors in regions such as Australasia and the Caribbean, plus high quality enquiries from the UK, Ireland and continental Europe, we could not be happier with the event.” Exclaimed the sales double act of Chris Wood and Klaus Löffler, UK/Ireland and European Sales Manager respectively. With all this in mind, it seems like Amsterdam will remain the place to meet the Jubilee® team in November for years to come.